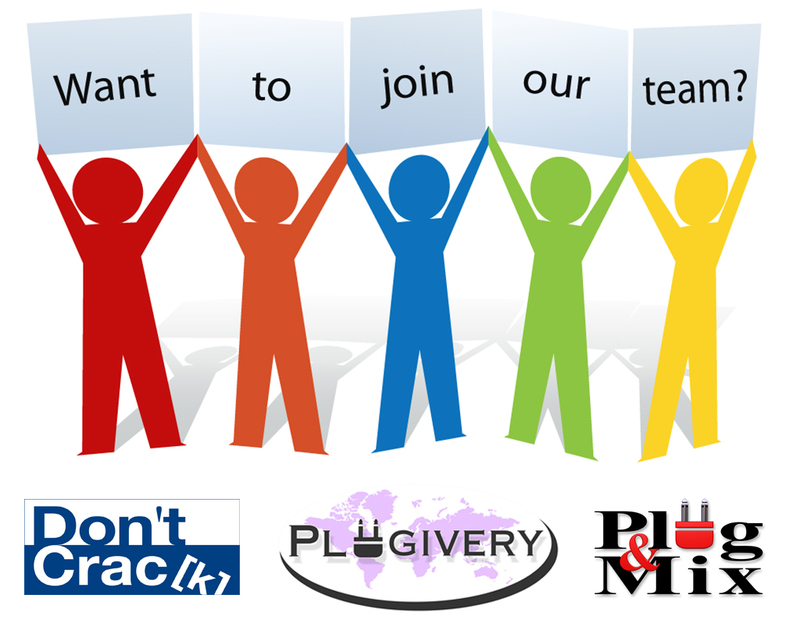 Plugivery.com is a B2B (business to business) distribution company that has it's administrative office located in Montreal, Quebec, Canada and a development office based in France near Paris in an attractive village town called "Colombes". Plugivery distributes professional audio software brands such as FLUX, GRM Tools, IRCAM Lab, Nomad Factory, Nugen Audio, Plug & Mix and many other hot brands that we now make available at pro audio dealers all around the world. Plugivery owns DontCrack.com, an audio software store that will shortly celebrate it's 10th year in business and now counts over 150,000 registered customers ! Plugivery also owns PlugandMix.com that has been manufacturing professional audio software for over 4 years and has sold over 30,000 original audio plug-ins all over the world. We are open to experienced candidates as well as students that would like to join our team as part of a school sponsored training program. The following categories are of great interest to us : Marketing, social media experts, video content makers, support technicians, developers, webmasters, graphic designers, product specialists, editors (reviewers), beta testers, forum contributors, translators, sales representatives, etc. If you think you have a special talent or motivation that would help us promote and sell our partners products, just send us a detailed CV and cover letter in English telling us how you could see yourself contributing to our companies. Plugivery is a Cool Company ! We're a startup that is constantly innovating and your opinions and suggestions will be highly valued. We're relaxed and easy going, but hard working, so you'll be invested in a cool growing company. Office hours are flexible.